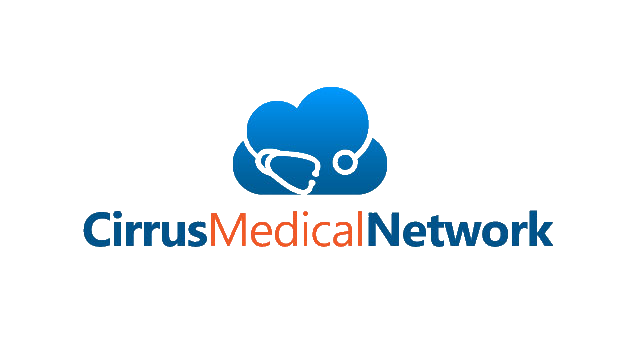 Cirrus Medical Network (CirrusMED) is now offering a one-time medical consultation for $49. Includes 72 hours of follow-up communication. No obligation. No recurring fee. Simply a one-on-one visit a with a board-certified and licensed primary care physician (PCP). Cirrus Medical Network, LLC (CirrusMED) is "Your Doctor. Online." Retain an online doctor - the same doctor every time. Get answers to your medical questions and more. Forget the wait times and hassles with traditional medical practices. We don't like filling out all of those forms in the waiting room of a doctor's office, so you shouldn't have to either. New patients just fill out 2 simple forms online - "Patient Registration" and "Medical History"
Contacting your doctor is as easy. Login, select, and connect. Set up a televisit appointment using video conferencing, or use secure messaging to get your questions answered, or set up a phone consultation. If needed, you can upload documents, images, or video for your doctor to review. Not only will you save time and money using our online teleprimary care services, but you will come away with the peace of mind of having your medical concerns addressed by a board-certified physician. Avoid the hassles of the traditional office visit Avoid the co-pay or high-deductible. Avoid costly ER or Urgent Care visits. Get your questions answered and more. Need a prescription, a lab test, an x-ray? Need a prescription online? Is that even legal? What if I need a refill of my medication? Our physicians can prescribe medications per our prescription policy. You tell us your pharmacy and we send it electronically. It is usually available shortly after it is written. We can refill medications as well. Just send us a message when you are running low on your medication. **NOTE: WE CANNOT PRESCRIBE THE FOLLOWING MEDICATIONS: XANAX (Alprazolam), ATIVAN (lorazepam), VALIUM (diazepam), PHENTERMINE, ADDERALL, NORCO (Hydrocodone), PERCOCET (oxycodone), morphine, or any narcotic pain medications. How long is the prescription good for and can I get refills? One-time consultations equate to a 7 day membership with a one-time prescription up to 30 days. Refills will only be granted to ongoing members. In other words, if you anticipate needing prescription refills, you should sign up for the monthly, 3-month, or annual plan. Do you trust the information you read on the internet? Confused by conflicting information on the internet? We all know that "Dr. Google" can cause more confusion and anxiety. Let a board-certified physician, who knows you and your medical history, put your mind at ease. So what exactly are we talking about here? Why not just go to my doctor's office? Telemedicine has been around for years, but only recently have both doctors and patients come together online to address primary care issues. CirrusMED physicians understand how difficult it is for some people to get to a doctor's office. Why go through the hassle, when you can take care of most primary care medical issues online? What medical conditions can be treated online? OK, what information do I have to provide? Easy. Simply your demographics ("Bio") and an easy medical history intake. The medical history we ask for includes: Allergies, Medications, Past Medical History, Past Surgical History, Family History, and Social History --all typical questions for that doctors need to know to consult with you about your medical needs. We do not take insurance, nor Medicare/Medicaid. Therefore the information you submit is just between you and your doctor. We ask that you do NOT submit fees/charges from CirrusMED to your insurance for reimbursement. We make all attempts to secure your personal and health information. Records are stored in a secure cloud-based medical record. I'm in-between doctors right now, is that ok? Absolutely. If needed, we can request records from your previous doctor and send our records to your new doctor. I just moved and don't have a doctor yet. Understood. Many states have a doctor shortage and many practices are closed to new patients. Fill the gap with a CirrusMED physician. I have health insurance. Is this service covered by it? Nope. CirrusMED is based on the Direct Primary Care model of care. Why let insurance get in the way of care? Simply pay your doctor for services, which are all-inclusive. This eliminates the barriers to care that are inherent to insurance-based services (i.e. co-pays, deductibles, etc.). I have a doctor. Will he/she be notified about our visit? We would be happy to send your medical records and/or any information you'd like to another medical office. What if I need more tests, like labs or x-rays? We can order diagnostic tests, labs, and x-rays. If you elect to run your tests through your insurance company there may be some "hassles" and coverage issues, however we will do our best to get them approved. You can always ask for the "cash price" . One-Time Consultation with a CirrusMED Physician Includes 1 week of follow-up communication. No obligation or recurring fees.